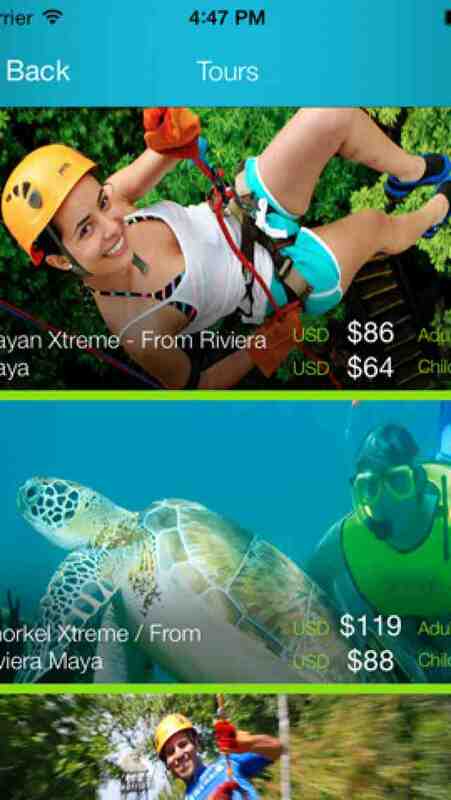 Easily book the best collection of tours for Cancun, Playa del Carmen and the Riviera Maya, Mexico. We don’t recommend fathers to allow kids under 3 handle their credit cards though. iPhone 5s compatibility to be added soon. We just need the iPhone 5s to be released. State of the art piece-of-cakeness technology to avoid long forms to be filled. Just push the button and the work will be done. Already here? 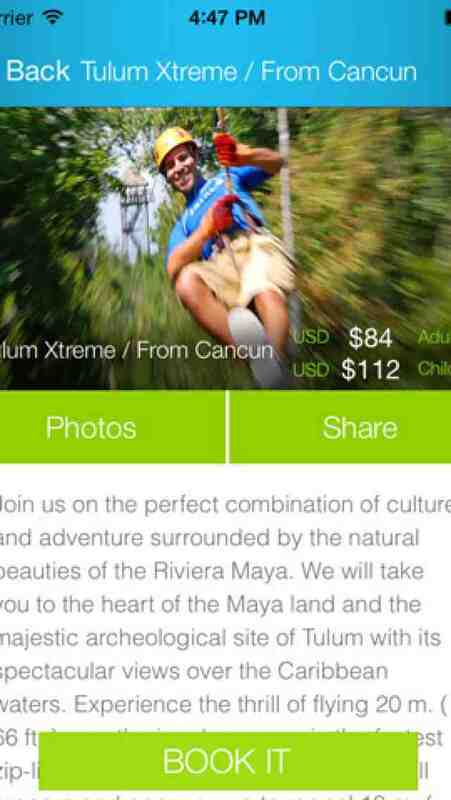 Push notifications will give you special last minute offers for tours and hotels.